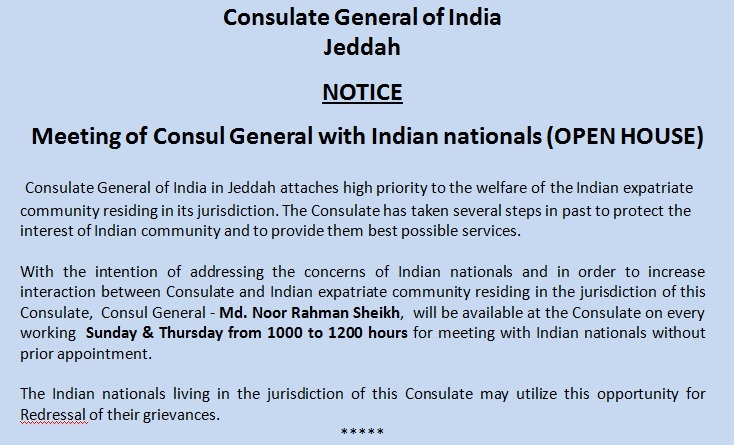 Applications are invited from resident Indians in Saudi Arabia and having valid Iqama/National ID for two posts of Clerk and one post of Cleaner in the Consulate General of India, Jeddah – Application form is attached. Celebration of 150 years of Mahatma Gandhi with 'Khadi' Exhibition and 'Swachhata Hi Sewa' events in the Consulate premises on 02 October, 2018. The 11th World Hindi Conference is taking place in Mauritius from 18 -20 August 2018. 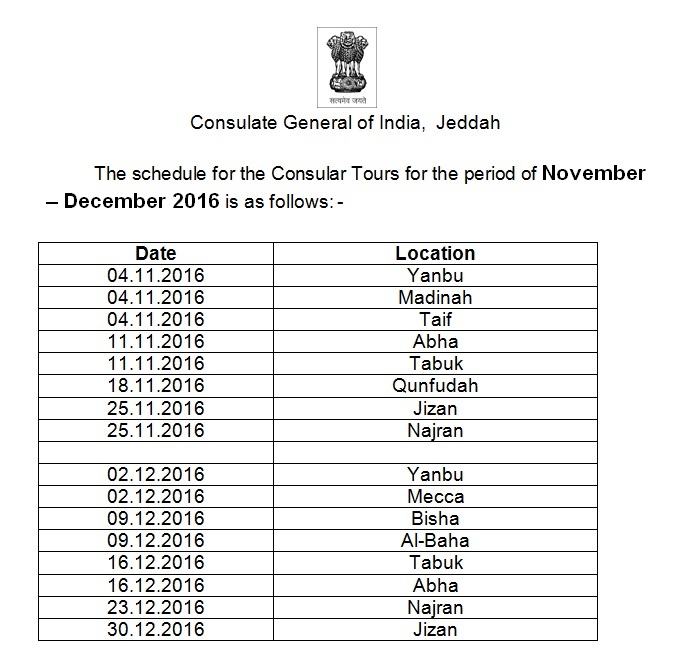 Applications are invited from resident Indians in Saudi Arabia and having valid Iqama/national ID for the post of two Clerks in the Consulate General of India, Jeddah, KSA. The Scholarship Programme for Diaspora Children (SPDC) for the academic year 2017-18. Independence Day Flag Hoisting Ceremony. List of Indian workers who died / injured in Fire in their company residence at Najran, Saudi Arabia. 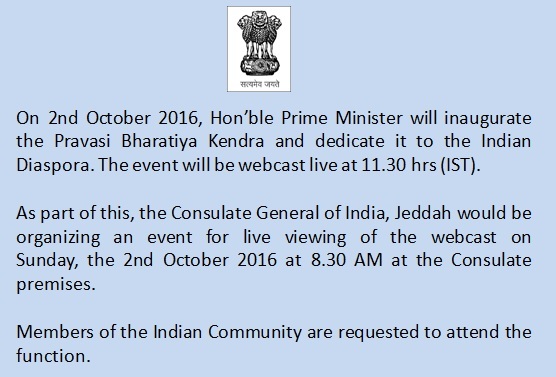 Consulate General of India, Jeddah in association with Arab yoga Foundation Celebrates 3rd International day of Yoga on Wednesday , 21 June 2017. Safe & Legal Migration of migrant workers for overseas employment.